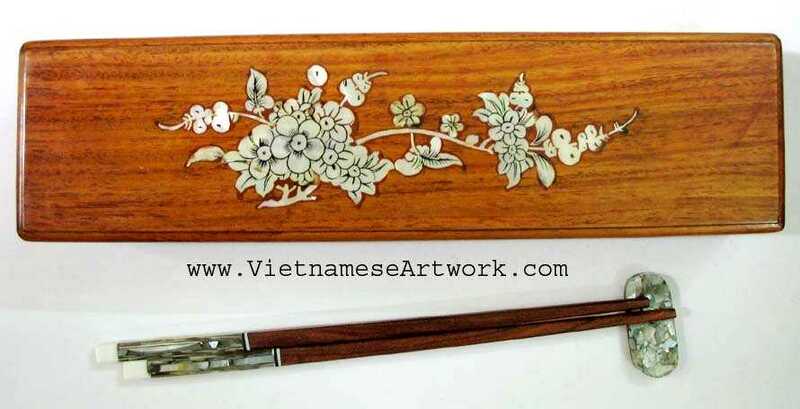 $42.50 10.5" x 3" x 2"
This chopsticks' box is hand made in Vietnam with the beautiful plum flower (Hoa Mai) made of mother of pearl on top. The elegant chopsticks (6 pairs) and the matching chopsticks' holders are included. These chopsticks are 100% natural and safe for eating.